Comments Off on Nuisance as a tort : Full Paper by a Law student. The word Nuisance is derived from the french word ‘Nuire’ which means to annoy or hurt. It is an unlawful interference with a person’s use or enjoyment of land. Under normal circumstances a person is entitled to the full and reasonable enjoyment and use of his property tangible, intangible, movable or immovable, whatsoever. This being his legal right cannot be taken away without lawful justification. Contrary to the provided protection if someone unlawfully interferes with this entitlement of a person he/ she commits a tort of Nuisance. Before dwelling deeper into Nuisance as a tort it becomes pivotal to first understand what law of torts is. Law of Torts is a branch of law which found the footing in almost every commonwealth Nations, i.e. Nations which were once a British Colony. Dealing specifically with the Indian context, Law of Torts is one of the very few non-codified laws in the country. It works on the principles of “injuria sine damnum” and “ubi jus ibi remedium”. The most common theory that works in the law of torts is the Pigeon Hole Theory given by eminent jurist Pollock. Presently there are a certain number of recognized torts i.e. twisted actions which attract unlqiuidated damages to the injured person. They are not codified as it is nearly impossible to confine all wrongs which result into any legal injury to a person and the damage which a person might face due to such wrongs, into an exhaustible list of code unlike that of other codified laws. The scope of this article is extended to deal with a specific Tort of Nuisance, interpreting, analyzing, and providing an in-depth journey to the same. Nuisance- Definition and Essential Elements. As per the most accepted definition of Nuisance which is the one given by Bermingham, Nuisance is an unlawful interference with a person’s use and enjoyment of land, or of some right over, or in connection with it. Hence it is an injury or inconvenience faced by a person in the use of his property because of another person who unreasonably uses his own property in a way which negatively affects the former. Illustration–One Mr. A starts a cement factory on his own land. The gigantic noises and dust from the Factory disturbs his neighbor Mr. B along with polluting his house. Mr. A here commits Nuisance by the virtue of opening a factory on his land and disturbing Mr. B in using his home to the best. For the Action against Nuisance to arise the first essentiality is the conduct of a wrongful act by the Defendant. This may include any action which is prima facie not legal and unreasonable in the eyes of a prudent man. Caveat– If the Plaintiff is extra sensitive and finds the action of the Defendant to be unreasonable due to his sensitivity, which otherwise is reasonable as per a prudent man, the action for Nuisance cannot arise. The next essentiality requires a substantive damage or inconvenience to be caused to the Plaintiff. The maxim “De minimis non curat lex” comes into play and provides that law shall not consider trifles or minimal damage claimed by the plaintiff due to his own sensitivity. Nevertheless if the act of the Defendant involves the hampering of a Legal Right of the plaintiff, nuisance comes into play. Case Laws: In Ushaben V. Bhagyalaxmi Chitra Mandir, where the Plaintiff sued the Defendant against the screening of the movie “Jai Santoshi Maa”, claiming that it hurts the Religious sentiments of a particular Hindu community, the court dismissed the Plea stating that hurt to religious feeling was not an actionable wrong and the Plaintiff is free to not watch the Movie again. Hence it was held that in order to claim damages for Nuisance, the Interference shall be in a state of continuing wrong. In Halsey V. Esso Petroleum Co. Ltd, where the defendant’s factory emitted smokes, oil, fumes and smell and polluted the environment along with harming the plaintiff’s health because of his own sensitive health issue, the former were held liable to the latter only for the emission of smoke, oil and fume and not for health hazard. Nuisance as a tort is further categorized into two types- Private Nuisance and Public Nuisance, both having their own areas of actions and types of damages. Private Nuisance where the actions of the defendant are “causing a substantial and unreasonable interference with a claimant’s land or his/her use or enjoyment of that land” and public nuisance,where the defendant’s actions “materially affects the reasonable comfort and convenience of life of a class of Her Majesty’s subjects” public nuisance is also a crime. Private Nuisance, affects an individual rather that the World at Large. It gives the affected person a claim of “Right in Personam”. Private Nuisance occurs when the action of the Defendant affects only the Plaintiff in his own enjoyment of land and property and no one else. Technically, when a person does an act that affects another person, and prevents the latter from exercising full rights over his own property. It does not affect any other person save the Plaintiff. The Plaintiff can thus ask for unliquidated damages and considering the seriousness of injury, the same are decided and awarded to him. Such Interference causes a legal injury to the plaintiff only. The injury may be in respect of either Property or Physical Discomfort to the Plaintiff. In St. Hellen Smelting Co. V. Tipping where the fumes from the Defendant’s Factory damaged the Trees of the Plaintiff, the court held that the damage to trees is an unlawful damage of the Latter’s property and hence give rise to an action for Nuisance against the former. In Dilaware Ltd. V. Westminister City Council where the roots of the Defendant’s trees caused cracks to the adjacent building, the Plaintiff i.e. the owner of the building was made entitled to recover suitable damages from the defendant by the Virtue of tort of Nuisance. In Dattamal Chiranji Lal V. Lodh Prasad, the defendants were awarded with an injunction to stop the grinding mill which led to a non-peaceful life for the Plaintiff and his family. In Palmar V. Loder, the Defendants were awarded with a perpetual injunction against loud laughing, noise making and continuous ringing of the Plaintiff’s Doorbell. Public Nuisance comes into the domain of criminal acts under the Indian Laws. 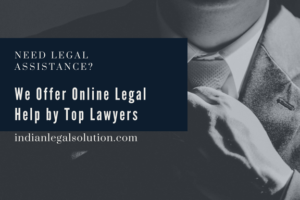 The reason behind placing this Tort in criminal aspect is that It is committed against the Public at large, thereby violating any of their Legal Rights. Furthermore, any Crime under IPC is committed against the Public and the State, the similarity in terms of the affected party puts Public Nuisance into the Domain of Crimes as well. Section 3(48) of the General Clauses Act, which gives meanings of various legal terms mentions the definition of Public Nuisance to be comprehensively given under the Indian Penal Code. Thus any act which seriously interfere with the Health, safety, comfort and convenience of the Public generally or which tend to degrade public morals come under public nuisance. In order to avoid multiplicity of Proceedings, both civil and criminal (Res Judicata), Public Nuisance generally do not allow a right for a Civil Action as is taken care of by the Statutes for Criminal Law. He succeeds to show that he faced a special injury other than that faced by the entire mass. Such special injury arises out of the Direct action of the Defendant. Illustration-One Mr. A obstructs the Public Road because of the chaos created by his cattle. In the meanwhile, one of the Cattle goes inside the house of another Mr. B and causes damage to his TV Set. In this scenario despite of a legal Action against Mr. A for Public Nuisance of Blocking the road, Mr. B can ask for separate damages with respect to the special damage faced by him because of the damage to the Property. In Solatu V. De Held, it was held that the continuous ringing of the bell of a catholic church which is on a public way, accounts to Public Nuisance. In Attorney General V. PYA Quarries, it was held that even Vibrations from the defendant’s estate may result in Public Nuisance, if the same are extensive in Nature. Depending upon the gravity of inconvenience suffered by the aggrieved party, the Court may direct the defendant to pay proportionate damages to the former. Such Damages may include both Monetary and Material Compensation. If in the eyes of Law, Monetary or material relief shall not be sufficient to provide justice and equity to the aggrieved Party, the Court may direct the Defendant to stop with the work that causes such Nuisance. Injunction/Stay may be Temporary or Permanent depending upon the facts of the case. This is synonymous to summary trial, where the Plaintiff by himself may remove the act of Nuisance without seeking to the courts. This must however be lawful and not otherwise. As per Section 26 of Limitations Act and Section 15 of the Easements Act , the Plaintiff cannot ask for the action for Nuisance against the acts of the Defendant, even if they are prima facie unreasonable, if the Defendant has continued to do the same act without any objection from the same plaintiff for the past 20 years. In Elliotson V. Feetham, it was held that the Defendant has acquired prescriptive rights to carry the noisome trade as he continued to do so for the past 20 years without any objection from the Plaintiff. In Mohinimohan V. Kashinath Roy, it was held that no right to carry on Kirtans can be acquired on other’s land despite the customs. Where a statute or Law has authorized the doing of a Particular Act or that of any act in a particular way, the plaintiff cannot sue the defendant for Nuisance, even if otherwise the act comes under the domain of the same. Statutory Authority may be Conditional or Absolute. In Vaughan V. Taff Rly, the act of the defendant of building the locomotive lines, being protected under the statutory authority, prevented the Plaintiff from bringing any action against the former, despite of the damage suffered by the latter. An Action for damages against the defendant cannot be brought if it is shown that the Plaintiff is extra sensitive and an otherwise prudent person would not complain of such non substantive trifle. It is no defence to claim that the Plaintif himself came to the place of Nuisance. It is no defence to claim that all reasonable care had been adopted by the defendant to prevent the act of Nuisance interrupt or harm the Plaintiff. It is no defence to claim that there are others as well who commit Nuisance against the Plaintiff and that the defendant is not the sole wrongdoer. It is no defence to claim that the act of Nuisance is for the benefit of Public and affects negatively to the Plaintiff only. The concept of nuisance relates with the day to day activities of an individual. The laws made against Nuisance are almost uncodified save the criminal aspect of Public Nuisance. Nuisance as a tort got comprehensiveness through plethora of judgments along with the works of many eminent jurists. India being once a British colony has relied heavily on the English judgments to understand and develop the concept of this tort. However, it has also amended and modified various aspects of interpretation, depending upon its own geographical, cultural and economic diversity in order to strive for providing justice to almost each of its people and maintain the reign of Rule of Law along with Justice, Equity and Good Conscience. Oxford Dictionaries | English. (n.d.). nuisance | Definition of nuisance in English by Oxford Dictionaries. [online] Available at: https://en.oxforddictionaries.com/definition/nuisance [Accessed 20 May 2018]. (1961) 2 All ER 145. By : Rhishika Srivastava, GLS, Ahmedabad.